CCD vs CMOS. That is the question. Whether 'tis nobler to choose quality and cost or to choose features and energy efficiency. Should it be CCD (charge coupled device) or CMOS (complementary metal oxide semiconductor) when making your digital camera choice? This was a question that I struggled with when I was first considering which kind of digital camera to buy. 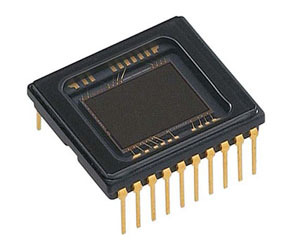 These two types of image sensors came into being in the late 1960s and into the 1970s. CCD sensors were clearly the best choice early on because of their superior quality and so my first digital SLR camera was an Olympus E-10 with a 4.0 megapixel CCD sensor. Because of continuous technological developments, there are many other sophisticated and technical differences in how the sensors are manufactured as well as how the digital information is processed and stored. My last three dSLR cameras, the Canon 10d, 20d and 5d have all had Complementary Metal Oxide Semiconductor (CMOS) sensors. CCD sensors convert the pixel measurements using circuitry surrounding the sensor and do it sequentially. All the pixels are amplified by a single amplifier. So, what are the advantages of having your sensor be a CCD type? This kind of sensor would be good for professional photographers and imaging scientists where the absolute highest quality is needed. CMOS sensors use the circuitry on the sensor itself and they convert the signals from the pixels all at once in a simultaneous manner. These sensors use separate amplifiers on each pixel. What are the advantages of having a CMOS type of sensor in your camera? Less Power Consumption-a whole lot more. Batteries may last longer. Cheaper cost because they're less expensive to make. Faster processing. The ADC and the pixels are built onto the same chip. CMOS quality is vastly improved so the difference from CCD is minimal. This kind of sensor would make sense for camera phones, PDAs and other portable devices where power is at a premium and quality is not essential. I can honestly tell you, that in the more than a decade of digital photography experience, I have never been able to tell the difference between a photo taken with a CCD chp versus a CMOS chip. The most important thing in the quality of your digital photos is you. There are many other digital photo tips about choosing cameras and other related photography tips on this website. The gap between the two kind of sensors has narrowed dramatically. Remember it is not the slight differences in these two digital camera sensors that will make your photos better. Only the highest level of technical or scientific photographers may be able to discern or measure the differences. So what should you do when making your digital camera choice on what to get: CCD vs. CMOS? Decide if those minuscule differences are really important to you. If not, look at the digital camera reviews and think about what features really matter to you based on the type of digital photography you are doing. Fundamentally, for most photographers, the CCD vs. CMOS choice doesn't really matter much anymore. It really is a great time to be interested in photography because the tools we have at our disposal are so good. 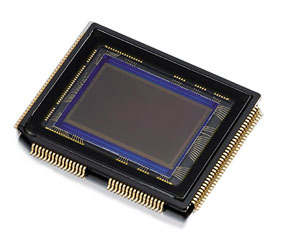 More on digital camera sensors: .